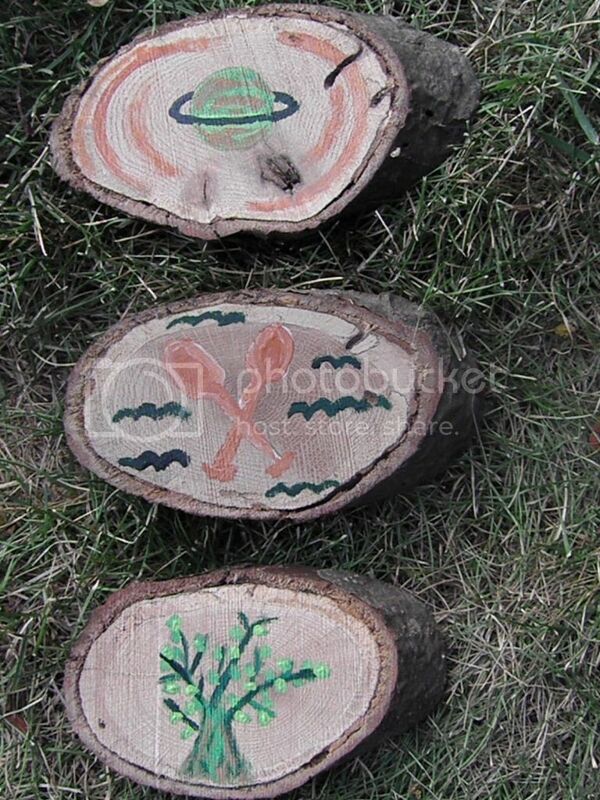 I made these little log pictures as a gift for my son. His room has an outdoorsy theme, so I figured the boy scouts look would fit right in. The designs are loosely based on the the merit badges from the official Boy Scouts site. 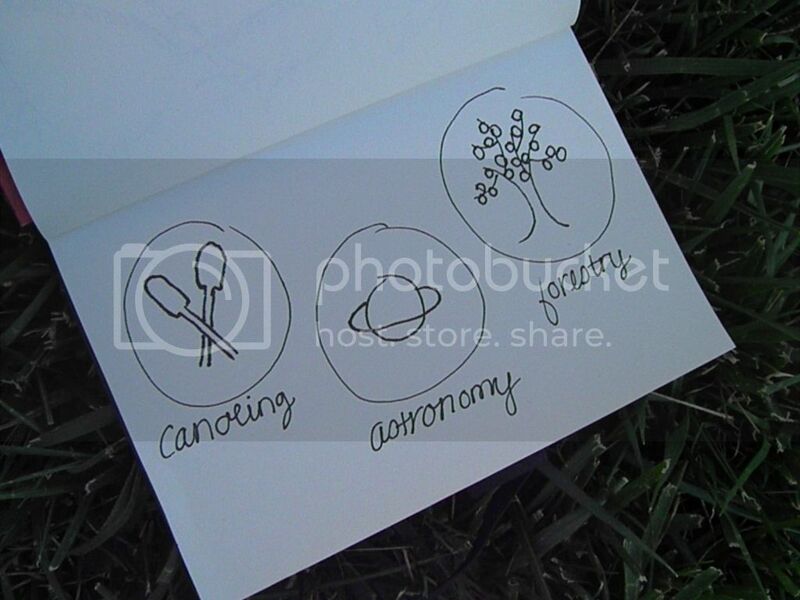 I chose Forestry, Astronomy and Canoeing as the three themes that I would use when designing the pictures. I wanted the designs to be simple yet meaningful. We spend a lot of time in the out-of-doors, and these are three subjects that I can't wait to explore more with my son. We've already watched the Perseid meteor shower together, hiked through many-a-forest and sailed across the water in our kayaks, so these insignias hold a special connection for us. 1. 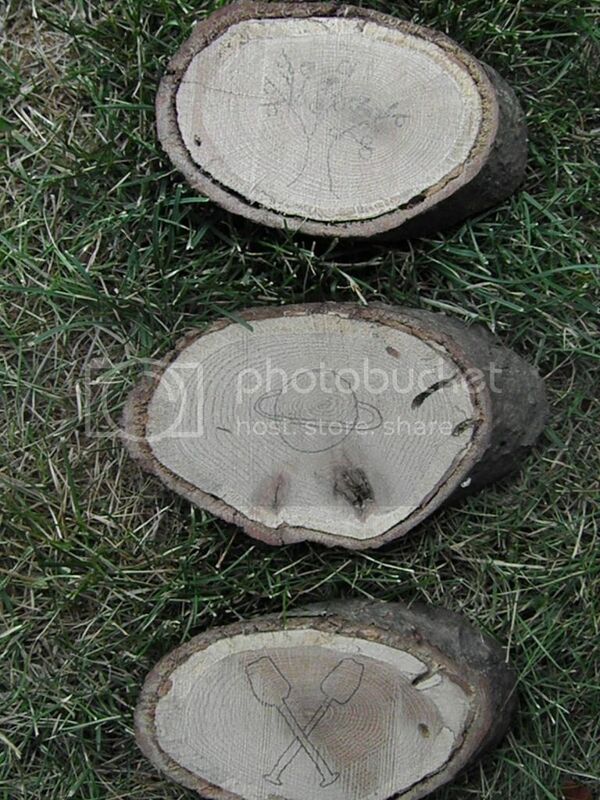 Three raw slabs of wood. 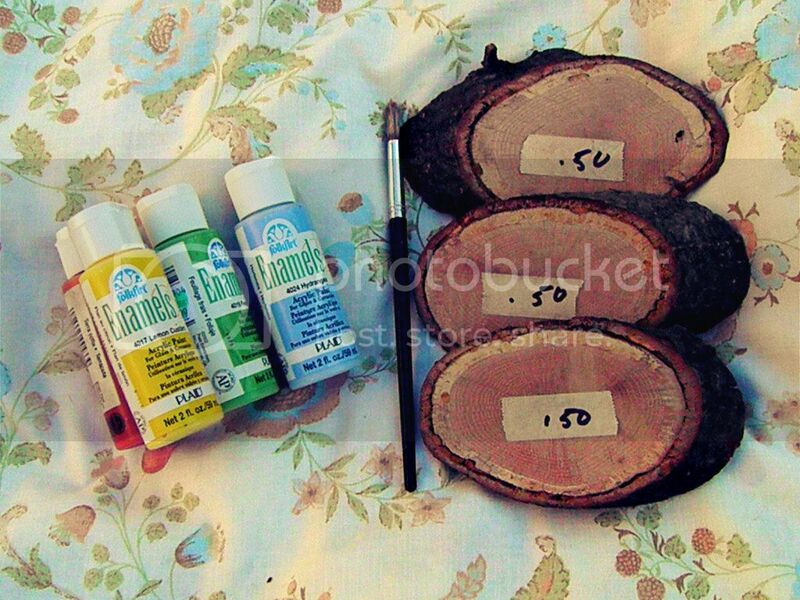 I happened to find these fine specimens at the thrift store for $0.50, but you could easily make your own with a thick branch, saw, and sandpaper. 1. Sketch out your designs first. It's easier to transfer a sketch to the wood when you finally find a look you like. It may take a few tries to get there. 2. Pencil the design on the wood and paint inside the lines as desired. 4. I used the same color scheme across all three pictures to keep the look color-coordinated and to make them match his room. 5. 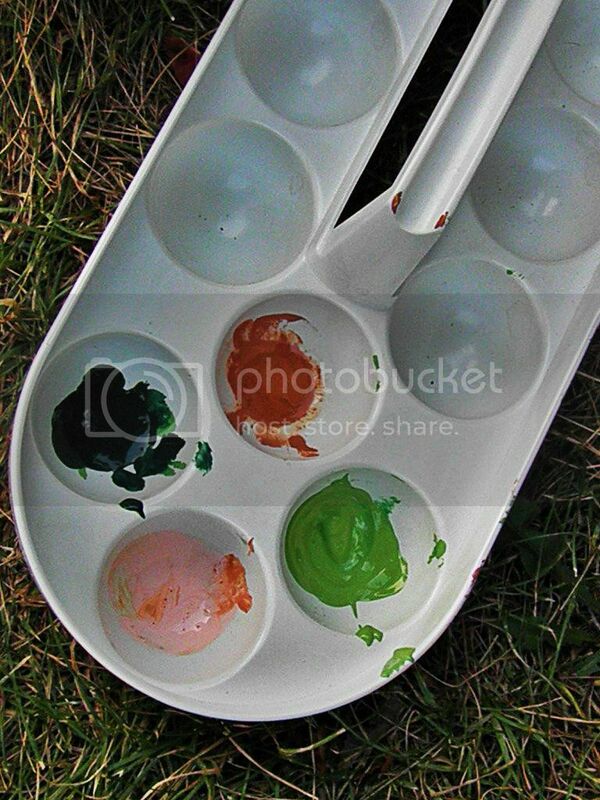 Meanwhile, if you have an extra paintbrush and painting surface, get your child involved too. 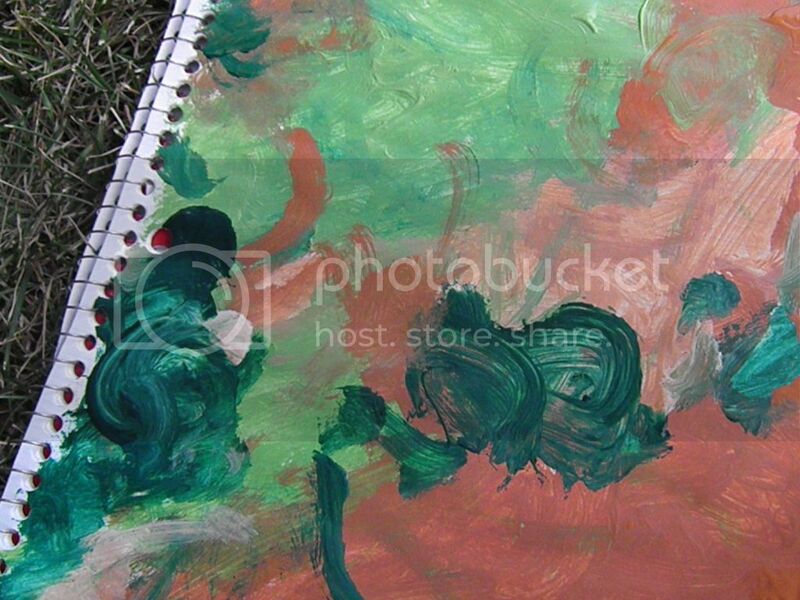 Mine wanted to paint too, so I handed him my notebook and let him explore his abstract side. 6. Hammer the frame hangers into the back and hang as desired. If you're hanging these in a sunny room, you might want to add a layer of finish over the top to help prevent the paint from fading. I hope to do some more experiments with log slabs in the future. Maybe even use some leftover chalkboard paint that I have. We shall see. I really like having a few raw wood accents here and there in my home. They have a natural and raw aura about them without getting too woodsy and country for my taste.